Recorded at Blue Strike Studios, Harrogate, September 1988. Acid reign mix their unique thrash/ punk style to create a whole new genre, there is no other band like acid reign. the highlights of this album are definitely the slow starting and creepy ‘life in forms’ which picks up a heavy punk sound. ‘goddess’ with its instant fast tremolo picking and guitar distortion is like being hit by an out of control bus speeding along at over 100mph. 5.0 out of 5 stars Get the Fear! 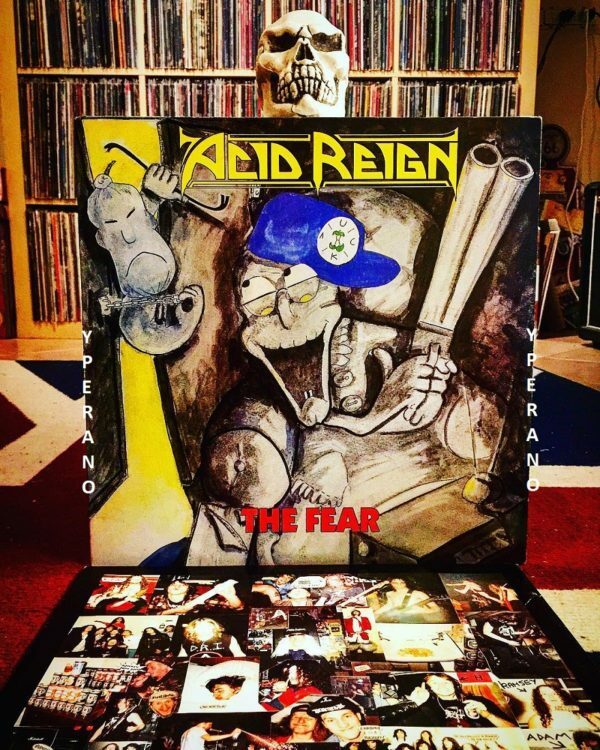 Acid Reigns 2nd album ‘Obnoxious’ is a truly fantastic album, but nothing can quite beat the power of the debut ‘The Fear’. Never mind ‘Best British thrash album of all time’, this is a serious competitor for ‘Best thrash album ever’, as it knocks the socks off 99% of bigger selling US acts of the time. Unfairly dismissed as a comedy band by some and lumped in with Lawnmower Deth and the like, in actuality once you get past the opening comedy fluff of the 25 second intro its a whirlwind of head-snapping riffing of full intensity – thrash songs that combine catchy hooks with killer riffs, and even the odd doomy moment (guitarist Gaz would leave after this album to form Cathedral). The bonus tracks from the preceding ‘Moshkinstein’ are a little more rough and ready and the production features one of the buzziest guitar tones known to man, but the likes of ‘Motherly Love’ show early signs of the bands genius. 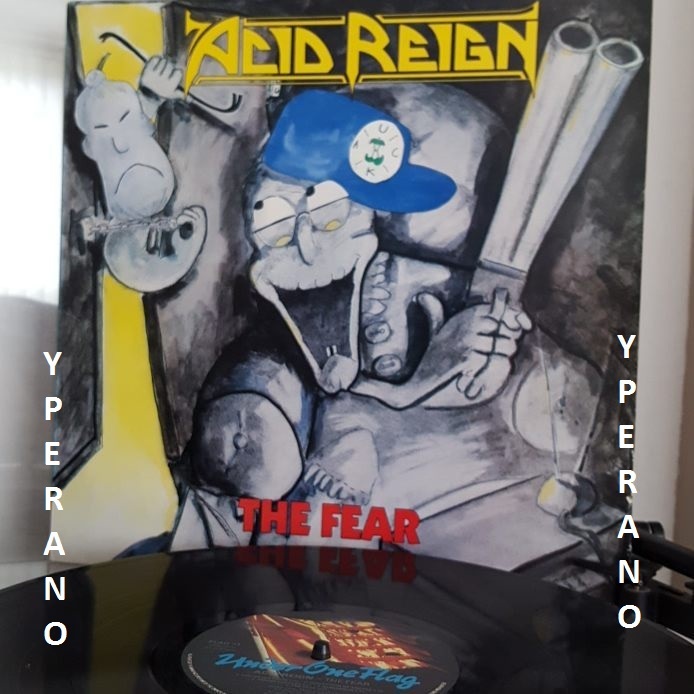 You may well find that this LP is long-out of print and costs a bomb to get hold of, but if you love thrash metal you NEED this album, as it may well be the best of them all. 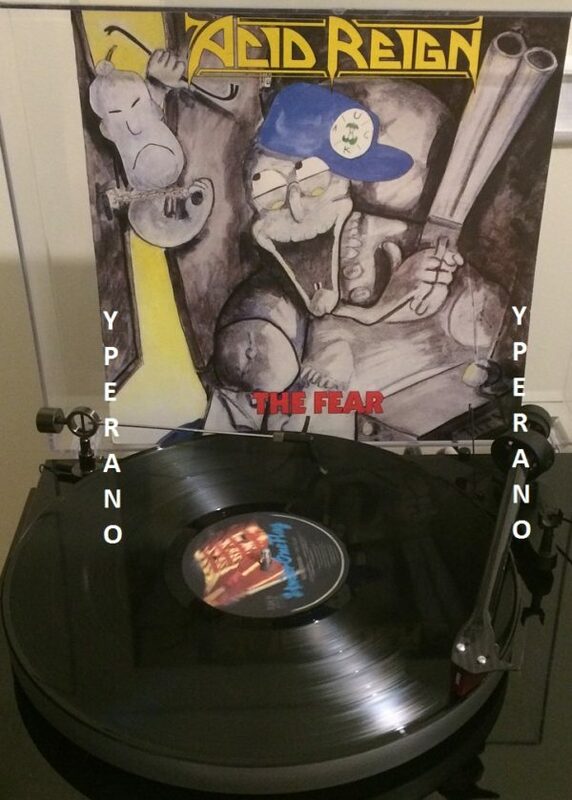 SKU: YP-4355 Categories: All Genres, Thrash Metal, Search by Media Type, 12 "